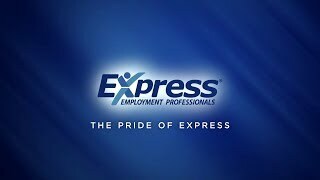 Express Employment Professionals of South St. Louis, MO is a leading staffing provider helping job seekers find work with a wide variety of local businesses. Express St. Louis is the premier staffing firm in the South St. Louis area. Our staffing firm connects hard-working job seekers with top local employers. Our services help workers streamline their search for employment and makes it easy for businesses to find the workers they need for open positions. With a focus on finding the perfect fit between workers and businesses, along with a service area that covers Arnold, Fenton, High Ridge, University City, and Jefferson County, we are proud to be South St. Louis’s source for staffing solutions. If you’re searching for work in the South St. Louis area, our staffing firm can help make your job search quicker and easier. Instead of pounding the pavement handing out resumes or filling out countless online applications, you can apply through our firm and have our staff perform your job search for you. Our staffing solutions for job seekers offer an easier way to find part-time and full-time work with local employers. Simply apply online or in person, complete an interview with our staff, and let us do the rest. We will search for open positions where your personality, skills, and experience will allow you to thrive. We strive to match workers with positions that align with their goals and availability, and you will be able to accept or reject suggested placements as you see fit. Express St. Louis offers placements in a range of positions, including administrative, commercial, licensed, and professional roles. Browse our online job listings and create an account to apply online or call (314) 968-2700 to learn more about in-person applications. Our staffing firm makes it easy for businesses in South St. Louis to fill open positions quickly. Our team can help you find high-quality workers for less time and less money than you’d have to spend on in-house hiring operations. Express St. Louis offers both workforce solutions and professional staffing for your business. Our workforce solutions cover placements for administrative and commercial positions, including placements for licensed skilled labor workers. Our professional staffing solutions also offer extra attention for your business’s most important positions, helping you find qualified, talented professionals in high-demand field like finance, accounting, and marketing, among others. Find out more about how our staffing firm can serve your business by calling Express St. Louis today at (314) 968-2700.